There’s nothing worse than getting that sinking feeling after dropping your computer, cell phone or camera. An unfortunate accident can mean irreparable damage when valuable pieces of electronic equipment are dropped, dinged or knocked into another object. Rather than worry about how your electronic equipment may fare while travelling, consider some of the following items to help protect your valuable gadgets. Your laptop and netbook may have cost hundreds or even thousands of dollars, and contain vital personal or business data. Don’t take the risk that your computer may be ruined when you can safely and inexpensively protect it with a foam-enclosed aluminium casing. Drop your smartphone or iPod Touch and you can expect to lose both money and time. Once a smartphone or iPod Touch breaks or the screen is cracked, the average cost for repair is $150 and usually needs to be mailed off for servicing. That leaves you without your phone or favourite MP3 player for at least one week. Whether you are making presentations in different cities or right in your own office, projectors can take a beating. With inexpensive slide projectors quickly being replaced by more high-tech equipment, the cost of a projector that works with your laptop now averages $600. A secure, snug protective case can keep the lens, internal and external components and various adapters secure. If you enjoy taping family events, concerts or need to record professional workshops you’ll want to keep your video camera safe. Protect your equipment from nasty falls that can damage sensitive internal components. 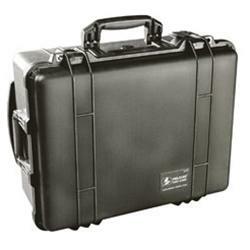 All camera equipment should be stored in cases that effectively shield from water, dust and debris. A GPS is a wonderful and handy gadget to have if you frequently drive, hike or boat in unfamiliar areas. When not in use, make sure your GPS device is adequately protected from the elements by keeping it in a padded case that can protect the screen and all of its internal mechanisms. If you have a LCD or LED monitor or television that needs to be moved, make sure it doesn’t get damaged during transport. 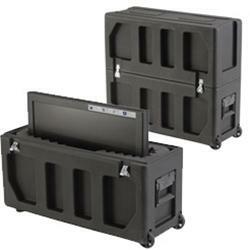 Shield your LCD or LED screen from harm by getting a secure, protective case; they usually come in an assortment of sizes to accommodate a variety of television monitors. You may be an amateur musician who’s just trying to make it from gig to gig, or a professional sound technician who needs to move expensive equipment. If you need to transport recording equipment, you’ll want to make sure that it’s in a strong water-and-dust-resistant case that can withstand abuse as you travel. Cameras are a popular piece of electronic equipment useful for work and leisure, but accidents, dust, rain and debris can all ruin a beautiful shot. Unprotected cameras can wind up with smashed lenses and sensors, along with scratches and dents on the camera body. Camera cases now come in a variety of shapes and sizes to accommodate point-and-shoot, prosumer and professional digital camera bodies as well as lenses. Companies that send staffs to attend trade shows and conferences usually have exhibit frames, tables, graphics and display screens that are prone to damage if not packed away properly. There are speciality travel cases designed specifically for rounded, pop-up and flat panels as well as folding and rolling displays. In the long run, money wisely spent on protecting your high-tech equipment can save you the added expense and frustration that occurs when items suffer an unforeseen accident. 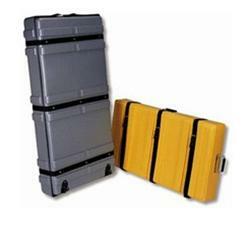 Solid, protective travel cases for your electronic equipment will safeguard your equipment, your wallet and your peace of mind. 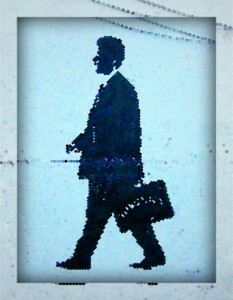 Kerry Tucker is a technology salesman who travels extensively and blogs for business accessory sites. He has to carefully pack his graphics and cameras into appropriate carrying cases for each trip, and highly recommends allcases.com.